Seven years ago, when the British furniture retailer International Furniture Brands opened its outlet in Bangalore, one of its first few customers were a businessman and his daughter from the town of Davangere, almost 265 kms. from Bangalore. On the hunt for furniture for his home and his daughter’s bedroom, the customer spent close to 5 hours choosing from various international brands. 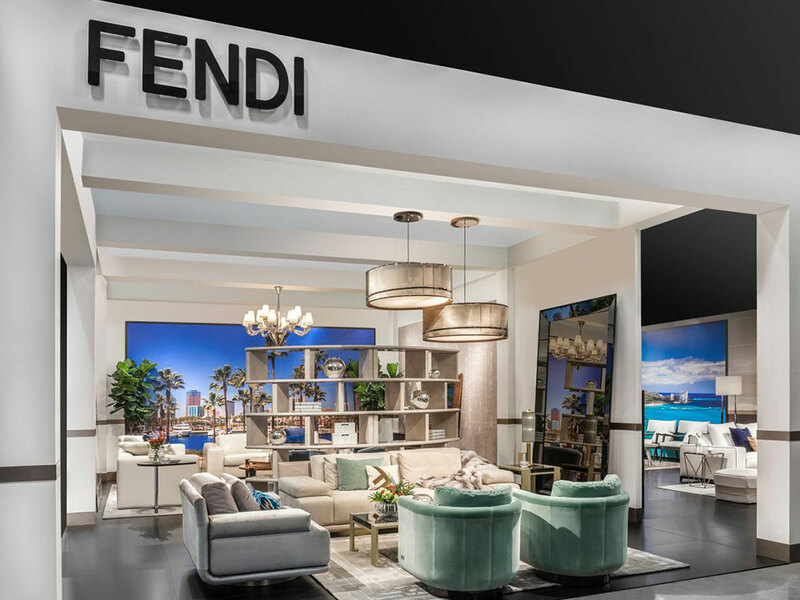 While the exact amount of money spent by the businessman was not disclosed, it is known that the duo settled for the global luxury brand Fendi Casa. The above shopping pattern is indicative of a growing appetite for luxury branded furniture in India. Such is the demand for global brands that it is believed that customers like this businessman from Davangere spend anywhere between Rs. 20 Lakhs to a Crore in buying internationally branded furniture for their luxury living spaces. Welcome to an emerging breed of nouveau riche in India – the brand-conscious ones with greater spending powers! Changing lifestyles, an economic surge, greater spending capacities are just some of the factors that are prodding people to enhance their everyday living and work environments. With real time interactions, social media and other forms of communication that create the illusion of blurring international borders, many home owners are increasingly paying attention to home décor, furniture and furnishings that are sourced from world-renowned brands and design houses. As global trends emerge and gain popularity, people are willing to spend more for products they feel best reflect their personalities. India’s ever-changing urban lifestyles and the ability to travel to international and exotic destinations are also seen as factors that contribute to these upwardly mobile professionals becoming style conscious. And, while home grooming is something that people across various economic strata indulge in to the best of their capabilities, there are now a growing number of aspiring urban Indians for whom tastes in home décor are no longer defined by geographical availabilities. These are the people who are willing to spend for the brands they cherish or identify with. The luxury furniture business in India has now reached a high-point where international brands and design houses see immense potential in the market here, gradually venturing to collaborate with local domestic partners to increase their reach and visibility in the country. This is not a surprising business move, considering the luxury brand market in India has been projected to be growing at a Compound Annual Growth Rate (CAGR) of 20%., accompanied with an economic prediction that India will be amongst the world’s top 3 economies by 2030. While the supply of luxury brands today is largely restricted to the major cities of Mumbai, Bangalore and New Delhi, it is the Tier II cities such as Pune, Hyderabad, Ahmedabad and Coimbatore where the actual creation of wealth is taking place in the country. Pune, for example has been ranked as India’s fastest growing city with multi-millionaires (defined as individuals with net assets $10 million or more), according to a study by New World Wealth between 2004 and 2014. During this decade, Pune recorded a 317% growth in the number of multi-millionaires, spiking sharply from 60 to 250. To this growth is closely linked the emergence of luxury and high-end real estate. The demand for luxury homes in Pune emerged approximately at the start of the current decade, around 2011. According to a report by Cushman & Wakefield, the city’s high-end residential segment demonstrated a sharp 39% rise in capital value during this period. Despite being known as a Tier II city, Pune has made a mark on the world map by ushering in global business houses and corporates across sectors such as the auto industry, manufacturing, IT & IT-eS etc. With the advent of international trade and commerce and the city’s only World Trade Center, complemented by the presence of expats and high net worth individuals in the city, the demand for premium housing too has surged upwards. And, with a preference for luxurious homes, comes a penchant for luxurious furniture, which in turn explains the emergence of luxury furniture brands in the city. It’s hardly surprising then that Pune today is home to some of the biggest international names in the business – names that symbolise style and craftsmanship. B&B Italia, LEMA, Medea, Poltrona Frau, Natuzzi are just some of the big (Italian) labels that retail in Pune, via their respective India partners and have found that the Indian market offers tremendous opportunity for revered brands such as theirs. To this effect, Mauro Marelli of LEMA is reported to have said, “Today, high-end Indian customers are living a deep cultural transformation; living in a more connected world and exhibiting globalized taste and style”. He goes on to add, “We decided to open the new LEMA flagship store in Pune because we saw a dynamic, enthusiastic and growing city where luxury has become a leading driver in its economy”. It is this very change in attitude and the extraordinary emphasis on contemporary design that affords luxury brands such as LEMA to enter an outstanding market like India, while retaining its original style at the same time. While value for money certainly continues to govern most decision-making processes in India, as compared to foreign counterparts, the Indian customer is slowly but surely demonstrating a growing appreciation for more sophisticated and design-oriented products that are otherwise well-established and routine preferences in the Western countries. It would not be out of place to therefore indicate that while Indian consumers still continue to evolve in taste and preferences, they are also simultaneously maturing into a sophisticated audience with a taste for fine design, refinement and quality. The future for international luxury labels seems bright in India, especially due to the Government of India’s 100% FDI approval in the furniture industry. This implies much to look forward to in the coming years, and many brands that will cater to the discerning Indian connoisseur.